We are excited to announce our 2015 exhibition, River Crossings: Contemporary Art Comes Home, presented in partnership with the Thomas Cole National Historic Site, featuring contemporary art installed directly into the historic spaces and landscapes of the two historic sites. The exhibition is curated by the artist Stephen Hannock and the art historian Jason Rosenfeld, PhD. Artists in the exhibition include Chuck Close, Gregory Crewdson, Lynn Davis, Don Gummer, Jerry Gretzinger, Valerie Hegarty, Angie Keefer, Stephen Hannock, Charles LeDray, Maya Lin, Elizabeth Murray, Thomas Nozkowski, Martin Puryear, Cindy Sherman, Sienna Shields, Kiki Smith, Joel Sternfeld, and Elyn Zimmerman. Click here to read the River Crossings press release. Click here to visit the River Crossings website. Click here for the CBS Sunday Morning segment. This exhibition is organized by The Thomas Cole National Historic Site, The Olana Partnership and the New York State Office of Parks, Recreation and Historic Preservation. Major funding for River Crossings was provided by The Moore Charitable Foundation, the New York State Council on the Arts, New York State’s Empire State Development and the I (HEART) NY Division of Tourism under Governor Andrew Cuomo’s Regional Economic Development Council Initiative, Tiger and Caroline Williams, Ed Herrington, Inc., The Bay & Paul Foundations with Chairman David Bury, the Hudson River Valley National Heritage Area, the Columbia County Tourism Department, Jennifer Krieger, and Chas Miller. The companion book and related public programs were funded by Tiger and Caroline Williams, Furthermore: a program of the J. M. Kaplan Fund, and the National Endowment for the Arts. The Trustees and staff of The Olana Partnership wish to recognize the support of Governor Andrew Cuomo; New York State Office of Parks, Recreation and Historic Preservation Commissioner Rose Harvey; Deputy Commissioner for Historic Preservation Ruth Pierpont; Regional Director, Taconic Region Linda Cooper; former Director of the Bureau of Historic Sites John Lovell; Acting Director of the Bureau of Historic Sites Mark Peckham; and Olana Site Manager Kimberly Flook. 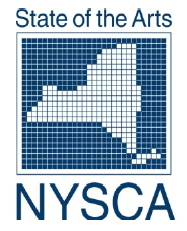 With additional support provided by public funds from the Museum Program of the New York State Council on the Arts, a State agency.